The story of Walla Walla Vintners begins in 1981. Gordy Venneri, a Certified Public Accountant, was teaching business at Walla Walla Community College. It was there that he met and became close friends with Myles Anderson. His interest spurred by his trip, Venerri arrived home and talked with Anderson about making wine. 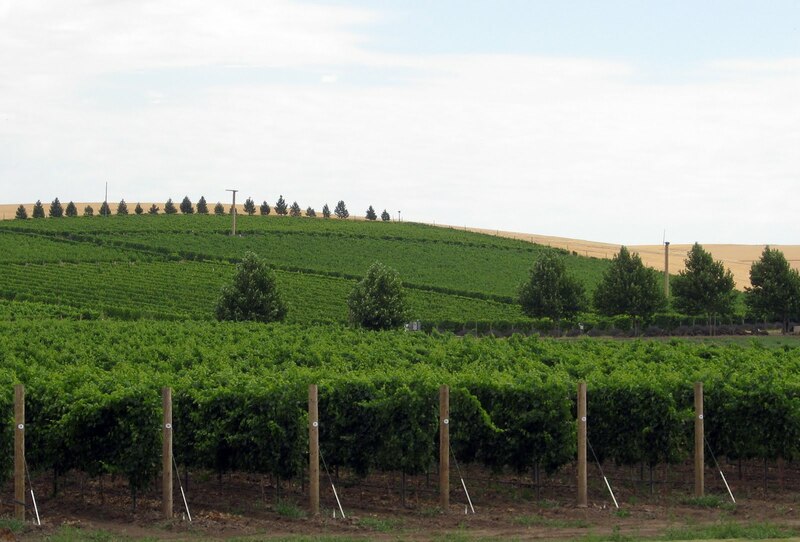 At this time, the Walla Walla Valley was in its early days as wine region. Leonetti Cellar was less than five years old and Rick Small was just starting Woodward Canyon Winery. Venerri and Anderson approached Small about buying a used oak barrel, which they would affectionately name ‘Old Woody.’ They made thirty gallons of wine in 'Old Woody' that year. Remarkably, Venerri and Anderson would be home winemakers for fourteen years before transitioning to being a commercial winery. Walla Walla Vintners was bonded in 1995. Venerri says that he loved home winemaking. “I never thought we would be commercial,” he says. Now a full fifteen years later, Walla Walla Vintners is in the midst of several other transitions. Among them is using more Walla Walla Valley fruit for its wines. 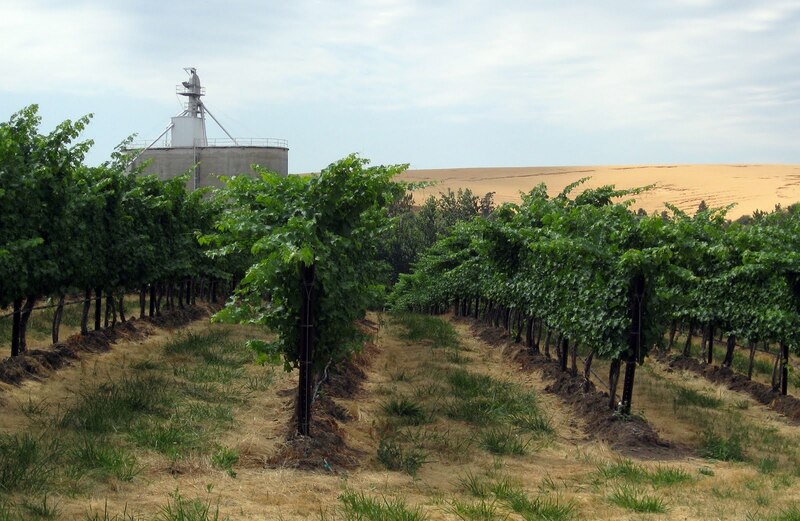 When Walla Walla Vintners was founded, there were few vineyard sources in the valley. So, like others, Venerri and Anderson started out using Columbia Valley grapes. 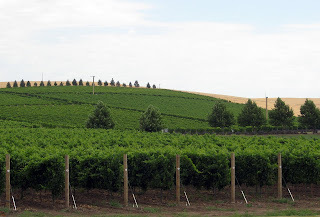 Venerri credits these Columbia Valley vineyards, particularly Sagemoor whose grapes were used for the Leonetti wines for numerous years (NB: Walla Walla Vintners continues to use Sagemoor fruit), with helping to put Walla Walla on the map as a wine region. Walla Walla Valley, however, is now teeming with vineyards. As a result, Walla Walla Vintners is focusing its wines on valley fruit, giving up older blocks of Columbia Valley fruit to do so. Additionally, the winery is establishing its own estate vineyard next to the winery. Venerri and Anderson hope to receive their first fruit from this eleven-acre vineyard, which lies next to Leonetti’s Mill Creek Upland Vineyard, this year. Venerri says that despite transitioning to using more Walla Walla Valley fruit, certain wines, such as the winery’s ever popular Cabernet Franc, will remain Columbia Valley wines. “It’s the best stuff out there,” Venerri says. In addition to transitioning to Walla Walla Valley and estate fruit, the winery also completed work on a new barrel room, which provides significant additional space. They also recently hired Judah Pira, Anderson’s son-in-law, as Director of Vineyard Operations. 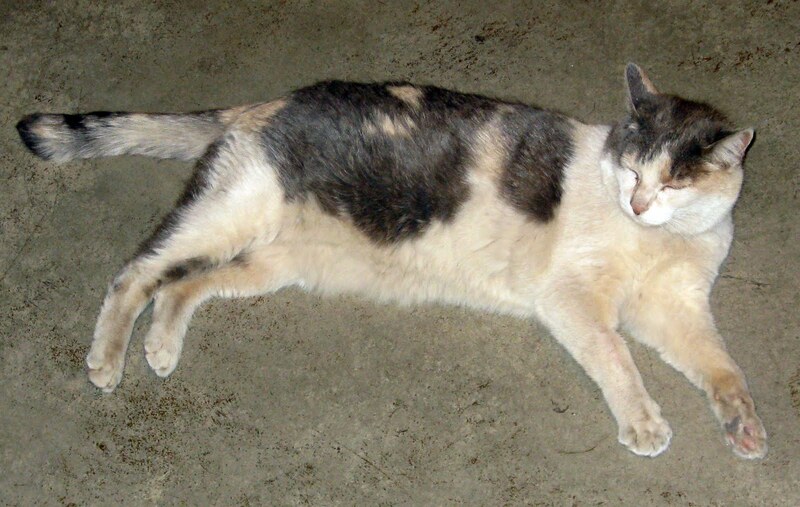 Among the many constants admist these changes is Nellie the cat, who continues to prowl the winery grounds. Walla Walla Vintners produces 5,000 cases annually. Rating: * (Excellent) An aromatic nose with chocolate, cranberries, rose hips, and a light earthiness. Bright, tart, and fruit filled on a clean, puckering palate. 83% Sangiovese, 9% Malbec, and 8% Syrah. Dwelley, Desert View, Kiona, Sagemoor, and Goose Ridge Vineyard Syrah. 14.2% alcohol. Rating: * (Excellent) Light in color. Light herbal notes along with chocolate and touches of pepper. Rich on the palate with abundant tart cherry flavors. A bit more lean in style than some recent vintages. 91% Cabernet Franc and 9% Merlot. Weinbau, Sagemoor, Cordon Grove, Dwelley, Killian, and Spring Creek vineyards. Rating: * (Excellent) Light earth aromas along with red fruit, cherries, and chocolate on an aromatic nose. Rich with palate coating red fruit accented by silky oak flavors. A classic Walla Walla Vintners wine. 84% Merlot, 9% Cabernet Sauvignon, and 7% Cabernet Franc. Pepper Bridge, Dwelley, Seven Hills, Killian, and Spring Creek vineyards. 14.2% alcohol. Rating: * (Excellent) Engaging aromatics of S’mores and licorice on a wine loaded with black cherries and toast. Smooth and seamlessly balanced on the palate. A peppery finish. 76% Cabernet Sauvignon, 8% Merlot, 7% Cabernet Franc, 4% Petit Verdot and 3% Malbec and 2% Carmenère. Dwelley, Frazier Bluff, Seven Hills, Tokar, Pepper Bridge, and Windrow Vineyards. 14.3% alcohol. Rating: ** (Exceptional) A rich, opulent, complex nose marked by chocolate covered cherries, licorice, and earth. Polished and seamless on an elegantly structured palate. A beautifully long finish. 77% Cabernet Sauvignon, 9% Cabernet Franc, 9% Merlot and 5% Malbec. 14.3% alcohol. Rating: */** (Excellent/Exceptional) A richly aromatic nose with baker’s chocolate, black cherries, herbal notes, and sweet spices. Elegantly structured on a palate rich with chocolate and cherries. 94% Cabernet Sauvignon and 6% Petit Verdot. Tokar, Windrow, Pepper Bridge, and Seven Hills Vineyards. 14.3% alcohol. Rating: * (Excellent) Abundant potpouri aromas and light chocolate on a nose that is reasonably closed up at present. Big and voluptuous with weight and intensity. Lots of dry chocolate and cherry flavors with a silky texture. Palate is quite dry. Give one year. Sample provided by winery. Rating: * (Excellent) Dark in color. Abundant white pepper, plum, chocolate, and green notes on an appealing, prototypic Washington Malbec. The palate is chock full of intensely rich fruit accented by dry chocolate flavors. Has a slight bight on the finish at present. Give six months. 100% Malbec. Sagemoor Vineyards. 14.3% alcohol. Sample provided by winery. Rating: */** (Excellent/Exceptional) Earth, traces of pepper, and plum on a moderately restrained nose also marked by French oak spices. A big, rich, intense palate with heaping amounts of black and blue fruit. A multiple swallow wine with a finish that sails on and on. One of the better examples of Malbec I have had from Washington. Give six months. 14.2% alcohol. Sample provided by winery. CindyW, the Cab Franc is always a standout from the winery and is a signature for them. One of the things I am always impressed by though about Walla Walla Vintners is the consistently high quality of their lineup. If you buy a wine, you know it will be of very high quality. The Sagemoor bottles are always something extra special along with the Vineyard Select Cabernet. The Pepper Bridge Malbec looks to be added to that list. Thanks for the comment.